Anyone have hands on or details with this yet? Will post my thoughts as I ordered a powder coated bracket and will be picking it up in person later this week. Looking forward to meeting the 589 Fab guys! From the pictures the design will transfer any forward to rear (or vice versa) force from a skid plate impact to the cross frame beam. This is done due to the sides of the bracket having a u-shape that fits on both sides of the cross frame beam. 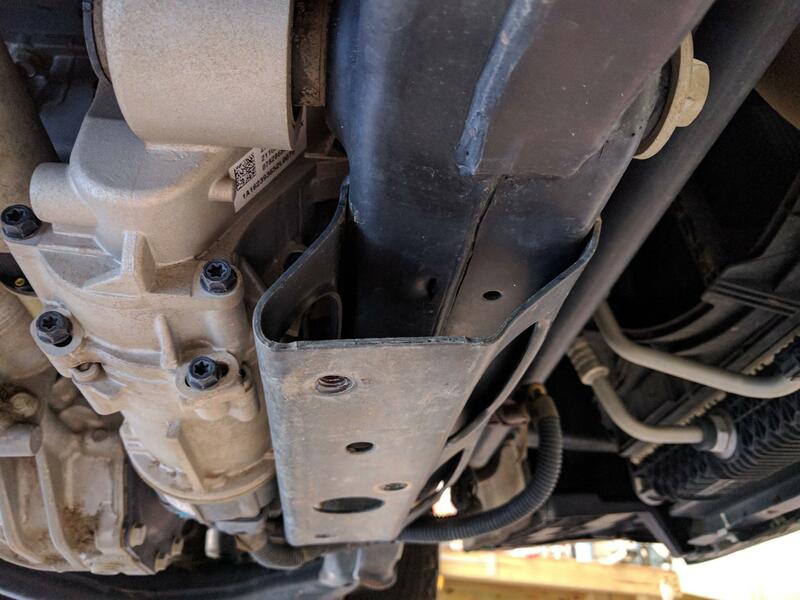 I believe the screen shot of the bent Colorado OEM skid plate mounting bracket is from this forum. Glad to have a ready made solution for only $100. It looks legit. I’m curious how it integrates with different sets of skid plates, I assume it would work with all. I opted for the bare metal version so I would receive it faster. Prepped, painted, and installed with my factory zr2 front skid and steel superskidz. The only issue was it was a tight fit because of all the layers of primer/paint. There was about a 3/4 inch gap left after muscling it on which had me concerned. I ended up using the supplied bolts to walk it in. Alternating between bolts, essentially pressing it in...it's NOT coming off! No clearance issues, the little legs don't interfere with any of the power steering bolts heads. ZedArgh2 and JBurg540 like this. 2017 ZR2 3.6L, 33s, 1.5 BL, diesel springs, GM cai, Mallet full exhaust, Relentless Fab bumpers & rack, Nitro 4.56 gears, Trifecta tuned. For those wanting this product, You'll need to make sure you didnt previously bend the bracket as this support bolts onto it. If you have bent the OE mount, you'll have to bend it back into the position which is a lot more difficult than you may think and by that point just cut it off. If thats the case, it may be worth cutting it off and putting a piece of boxed steel with a few layers of metal on top to give the screws to bite into it. @supermodulation gave me these measurements, so if you decide to make you're own, just make sure its at least this deep from the bottom of the crossmember, 2.30"
For the life of me, I can't find any pictures that I took of the actual mount, but it was a 2" piece of boxed steel, and the parts where the bolt will go in, was threaded and had 2 layers of 1/4" steel welded to give the bolts more metal to grab. Last edited by maxwell_hau5_caffy; 04-16-2019 at 11:19 AM. As long as they use the factory 3 holes on that skid support bracket, it should work with all skid plates! For those wanting this product, You'll need to make sure you didnt previously bend the bracket as this support bolts onto it. If you have bent the OE mount, you'll have to bend it back into the position which is a lot more difficult than you may think and by that point. You could also cut the OE bracket off, and weld this bracket in it's place after having some nuts welded over the holes. maxwell_hau5_caffy and BTombaugh like this. So this just goes under the skid plates and prevents the stock bracket from bending? Crazy that the stock one bent like that. That's a poor design. The design could be beefed up some, but the biggest issue is the thickness of the material on a bracket as critical as this one. The pictures I've included will give you an idea. It mounts over the factory bracket. 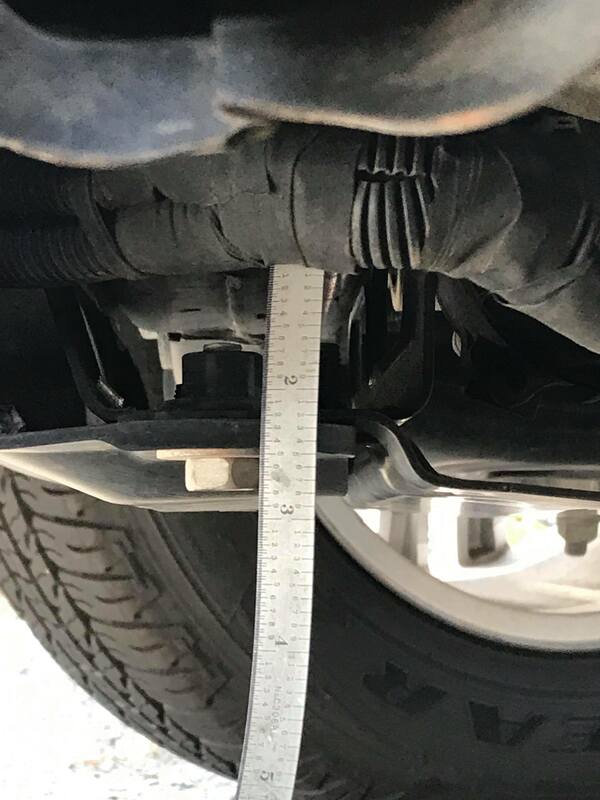 Basically you are putting this bracket between the factory bracket and your skid plates. It really stiffens up the mount! maxwell_hau5_caffy, madcratebuilder and Smiley like this. 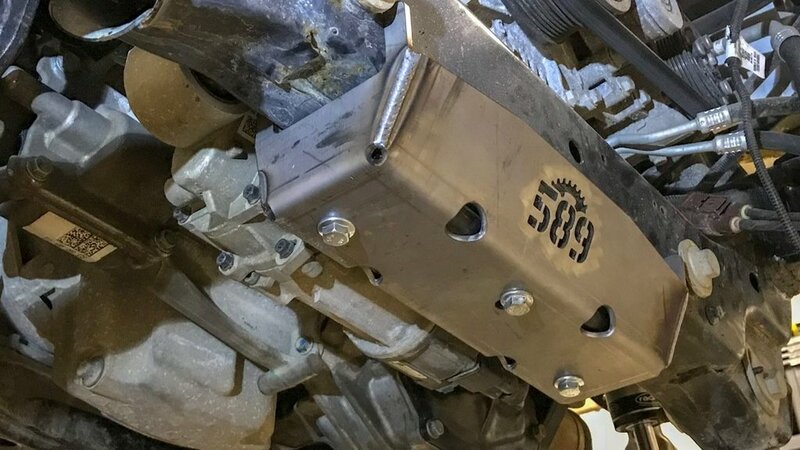 Random question, if the skid plates use those mounting holes, how do you keep that thing on when you're putting your skid plates on? It's a pretty snug fit once it's up there! I was able to reinstall my skids without worry of it falling. madcratebuilder and BizzyB like this. maxwell_hau5_caffy, ZedArgh2 and BizzyB like this. I'm waiting on a brown truck to drop mine off, can't wait to beat it on. I think I went with powder coat but really don't remember. Forum members save at RealTruck! PM for info. I ordered mine today. Gonna get it fitted before I pickup some skid plates. Hope you guys are churning em out quickly! Another solution as well. Would be tricky painting the inside after welding though. It'll get picked up in the morning! I wish we had already been in business at that time! We may have had it then! You beat us by a couple months.